With its massive 1,447 entries, we can clearly say that the third edition of the Battle of Malta has been a stunning success. Held in the poker room of Portomaso Casino, St. Julian, in Malta, the event put as bait a  500,000 prize pool guarantee; thanks to the gigantic 1,447 player-field, the prize pool of the Battle of Malta Main Event rose up to  701,795. 170 players would make the money. The first player who hit the rail (170th place) walked away with  1,100 of gain. Indeed, after four days of competition, Bulgarian Antoan Katsarov topped the entire field to cash the  122,750 first-place prize. 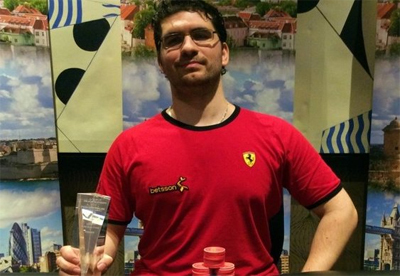 Malta native Alan James Brincat found his own run cut to the second place; he earned  107,250 as a consolation prize. The only French poker player who made it through the final table is Hugo Lemaire. He fell to the fifth place for  32,000. He remained the only one France representative of the final table since Valentin Messina and Sebastien Brun-Baronnat left the tournament earlier than expected. Both men respectively finished 26th and 32nd place for  3,300 and  2,500 of payday. Entering the game with the highest number of chips in hands, Lemaire was best placed to win the title but Katsarov clothed himself with an iron determination to claim the win. The Top 10 players of the Battle of Malta III include Pär Ebenhardt (3rd,  53,000), Oskar Szwed (4th,  42,500), Declan Connolly (sixth,  23,000), Pontus Dargren (7th,  16,095), Johan Krans (8th, 12,100) Beumers Wouters (9th,  9,100) and Giuseppe Broccolo (10th,  7,100). Italys Andrea Dato, Frances Fabrice Soulier and USAs Maria H are also included among notable names who finished ITM places in this poker tournament.